At Committee for Children, our Policy and Advocacy team works with lawmakers and stakeholders from around the country to support laws and policies that promote children’s well-being. In this capacity, one of our priorities is to ensure that lawmakers are supporting the work that teachers and principals are doing every day in schools. To that end, we track legislation that advances social-emotional learning (SEL), bullying prevention, and child protection. Through bill-tracking, Committee for Children noticed that SEL was often mentioned in state legislation that addresses the use of exclusionary discipline in schools. Action in this area seems to be picking up, possibly because of the current federal administration’s anticipated rollback of Obama-era school discipline guidelines. As it became clear that lawmakers were seeing a connection between SEL and school discipline reform, we at Committee for Children thought it would be beneficial to analyze the state-level legislative landscape for trends in this area. 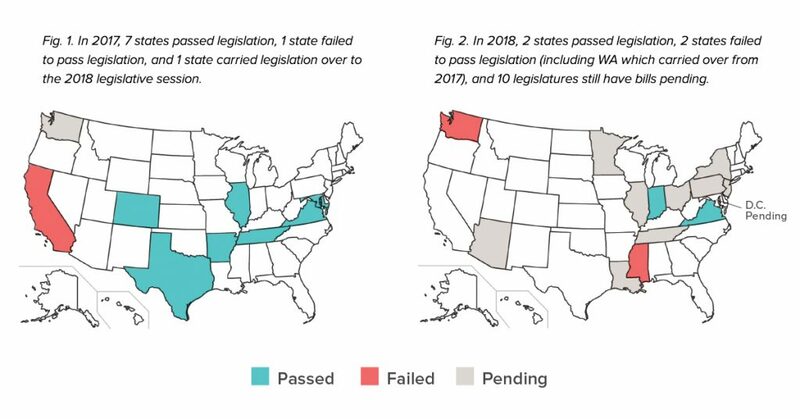 In our policy brief, our analysis shows that over a quarter of our state legislatures have taken recent legislative action to reform school discipline. Some states are addressing discipline in a comprehensive fashion, while others appear more cautious. Of concern: most legislatures are not including policies that would support principals, teachers, and other school personnel in shifting towards strategic alternatives to school discipline. A strategy is only as good as it is implemented; introducing robust SEL, Positive Behavioral Interventions and Supports (PBIS), or restorative justice practices into our schools and systems without adequate supports is not a recipe for success. We’ve highlighted the states writing legislation with strong supports, such as professional development, teacher preparation, and increased funding. Click below to read our analysis of state legislative action on exclusionary discipline reform and recommendations for how they can successfully tackle this important issue that affects children’s well-being. For more information about the work we do, visit our Policy & Advocacy page and bookmark our Policy & Advocacy blogroll.